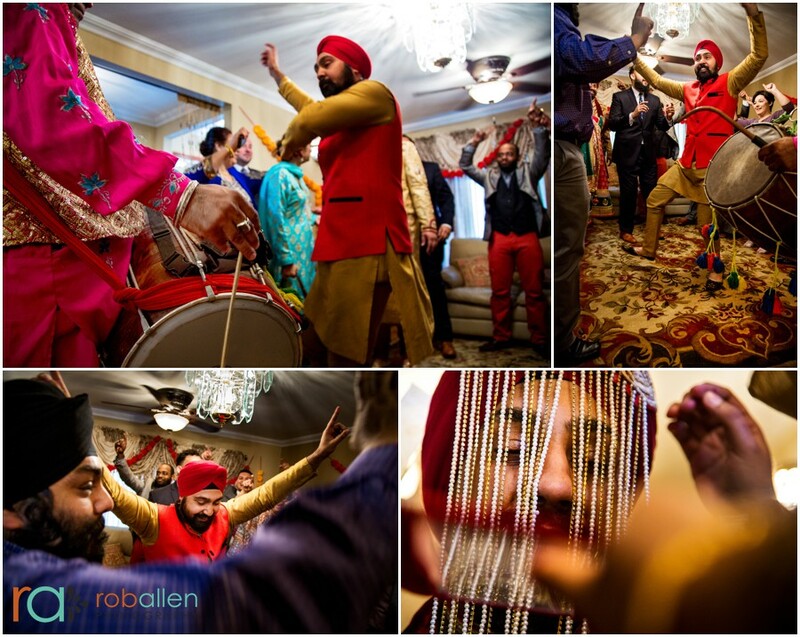 Luan and Anand were wed in a traditional Sikh wedding ceremony, filled with opulence and beauty. 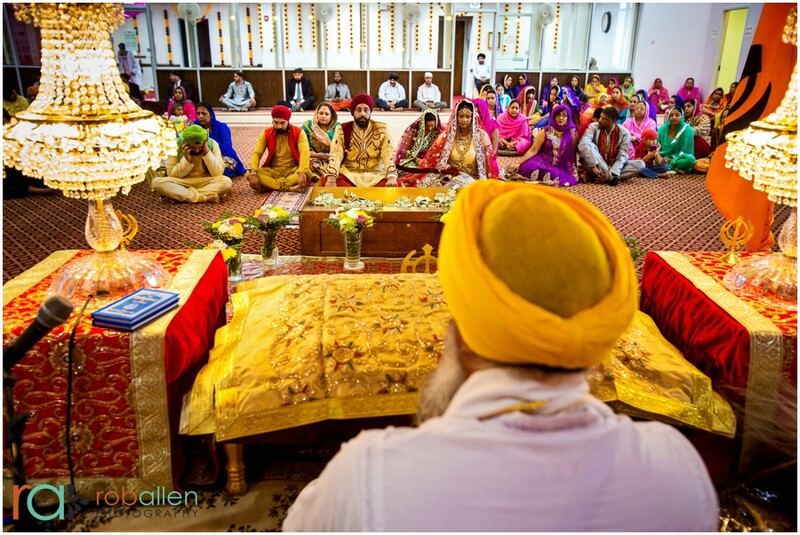 Many century-old traditions were followed in their beautiful ceremony. 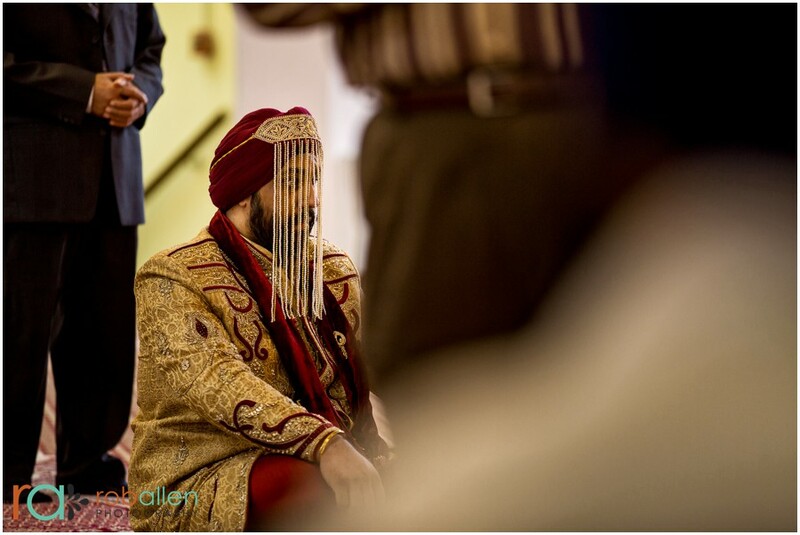 The groom’s mother and father placed beads in a veil in front of his face and he carried a sword that had been passed down through the generations of his family. 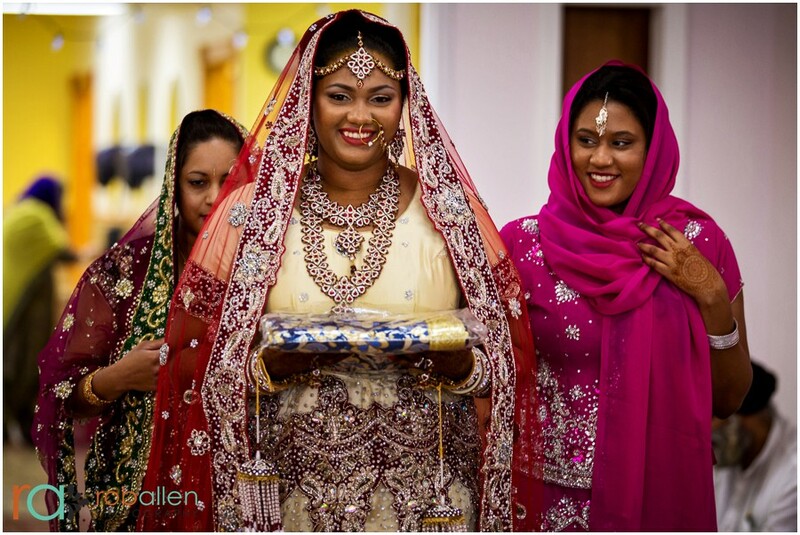 The bride wore a stunning lehenga and beautiful jewelry. 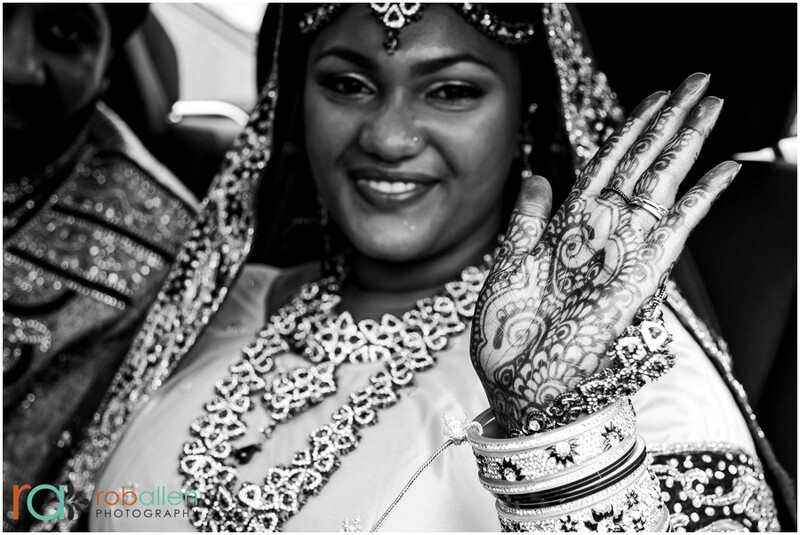 All of the garments were made in India. The beading and colors were extraordinary. 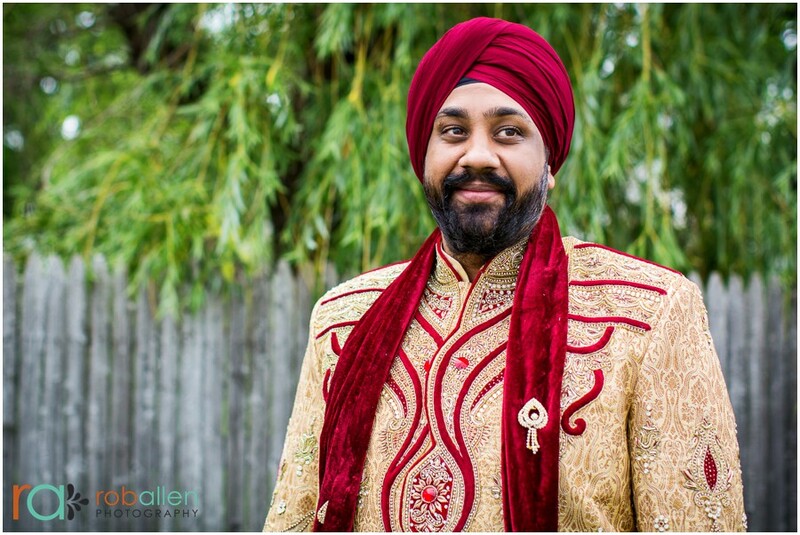 Luan and Anand looked like royalty in their traditional garments. 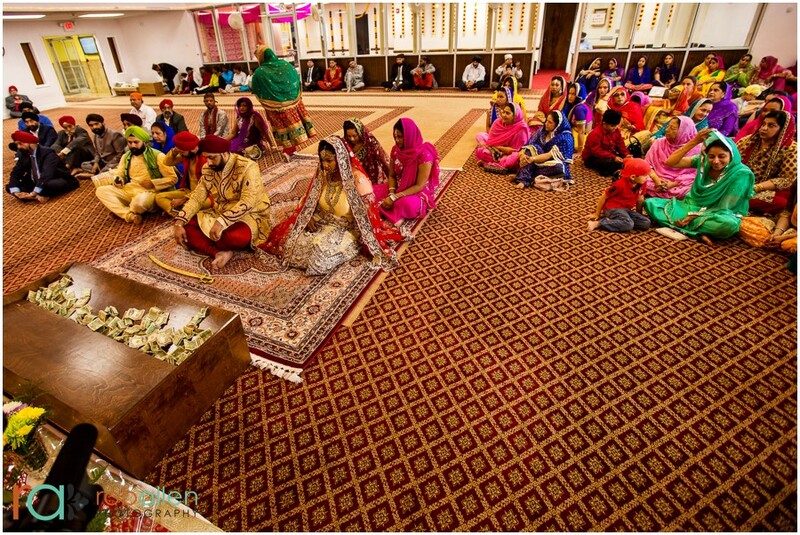 The ceremony started early in the day with the Reception of the Barat, when the Groom’s party is “received” by the Bride’s party. 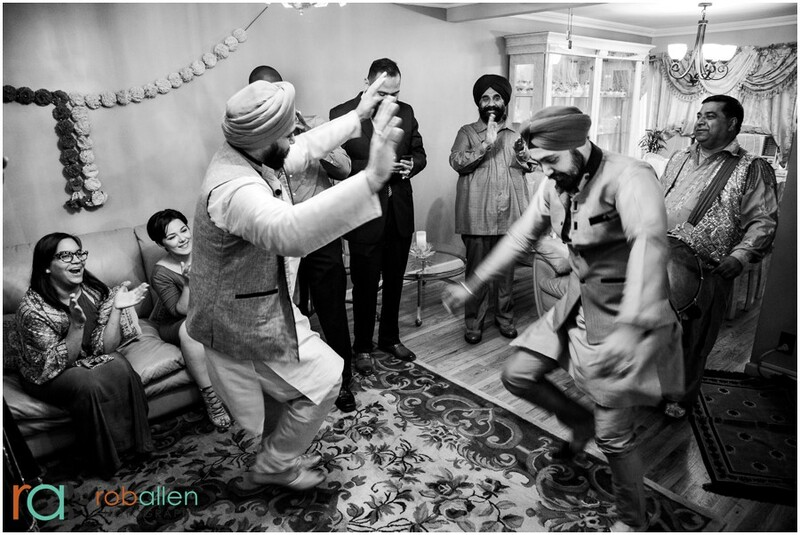 This was followed by a small tea reception before the wedding ceremony. 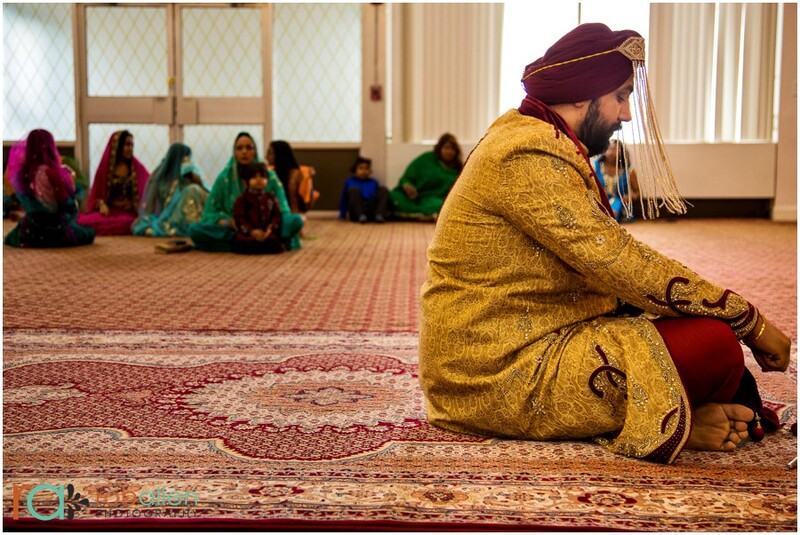 The Sikh marriage ceremony is called “Anand Karaj,” which means “blissful union.” It is held in the prayer hall where shoes are removed and heads are covered. 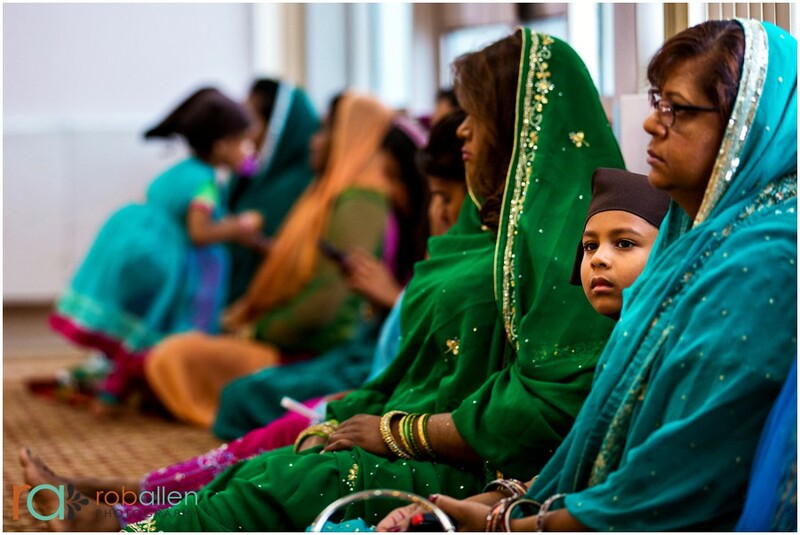 It was a beautiful ceremony with so many rich colors. 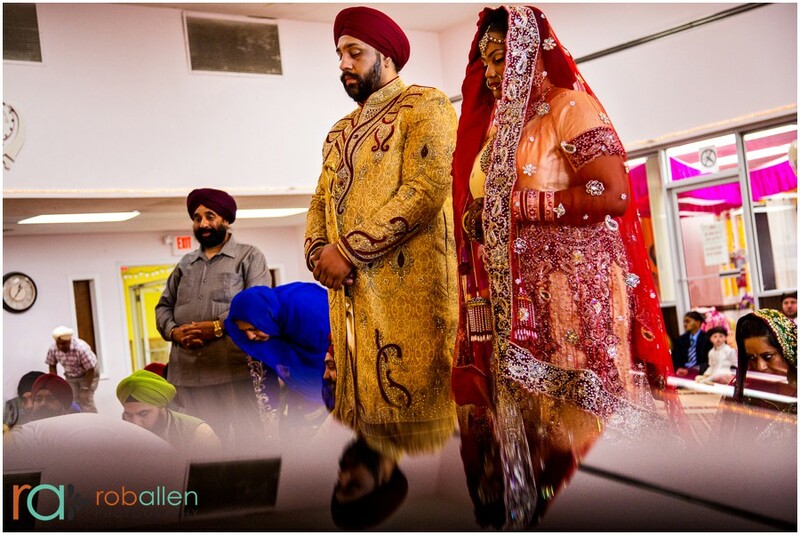 Luan’s sister gave her a ceremonial cloth to cover the Guru Granth Sahib (the Holy Book). Luan walked down the aisle with this cloth. 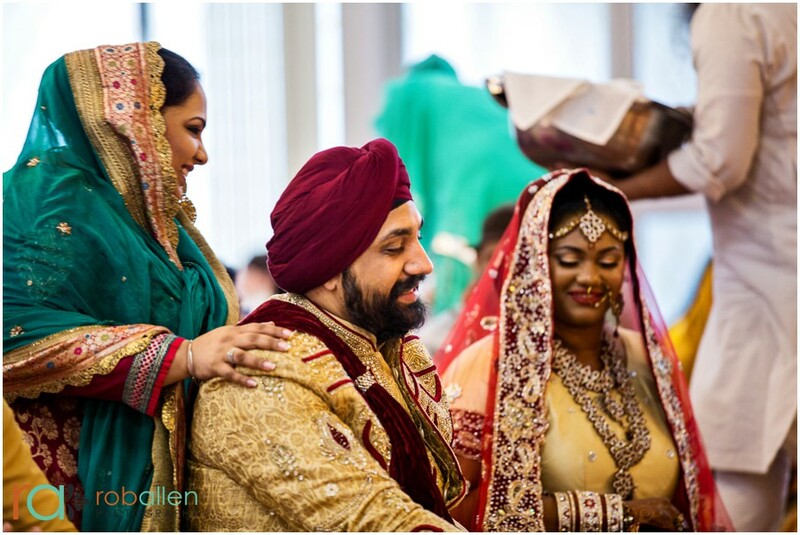 The bride and groom walked around the holy book four times at set intervals called the four Laavans. 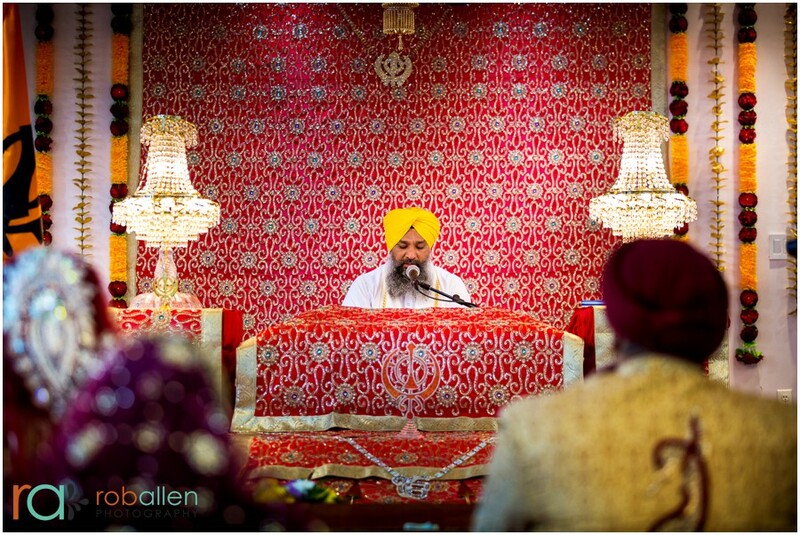 One of the family members spoke about how sacred marriage is in a very powerful way. His words really moved me. 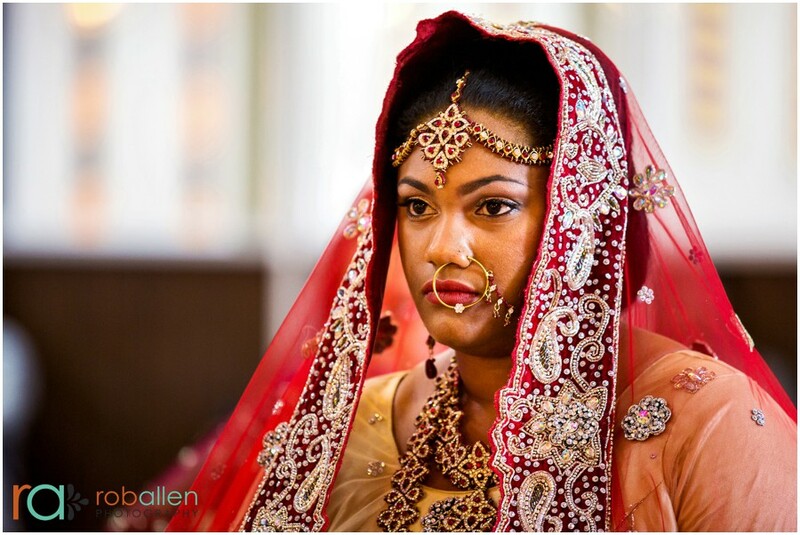 After the ceremony, Sherrian, the bride’s sister, had one more task for the groom. She stole the groom’s shoes and hid them for a ransom. Anand had to pay for each shoe before getting they were returned. This was a fun tradition to see! 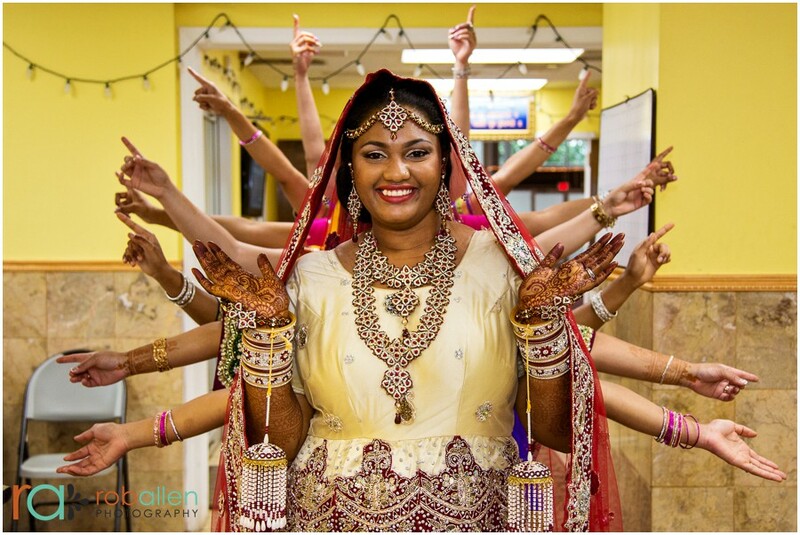 The bride and groom went to Kissimmee, Florida for their reception. I wasn’t there for the second half of the wedding, but I hope that it was just as wonderful as their ceremony. 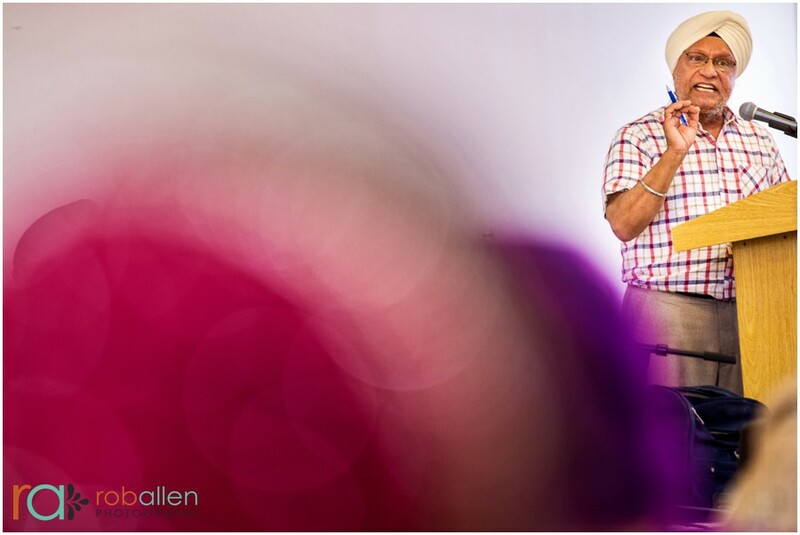 Thanks very much to my second shooter Luis Martinez for this shoot. 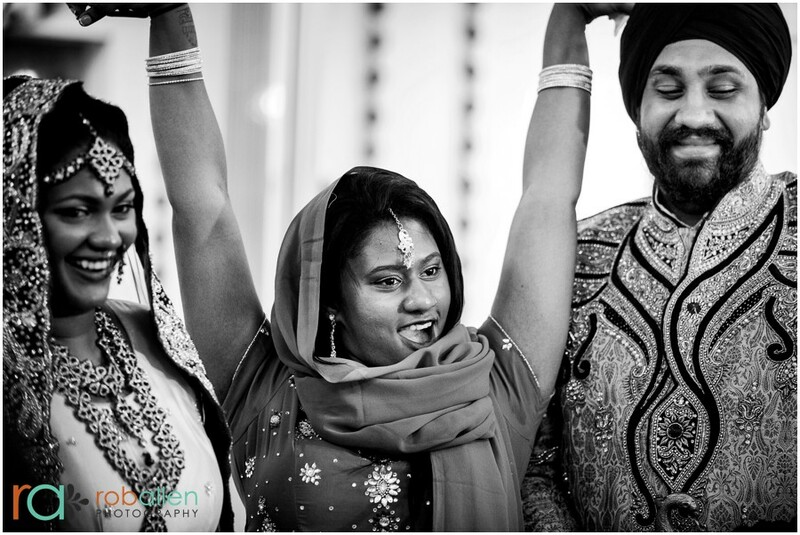 My best wishes and congratulations go out to Luan and Anand!